Full disclosure: I haven't read any of Thomas Pynchon's work. However, after listening to Kyle Bruckman's suite ...Awaits Silent Tristero's Empire, described as "a musical phantasmagoria" inspired by Pynchon's novels V, The Crying of Lot 49 and Gravity's Rainbow, maybe the time has come. 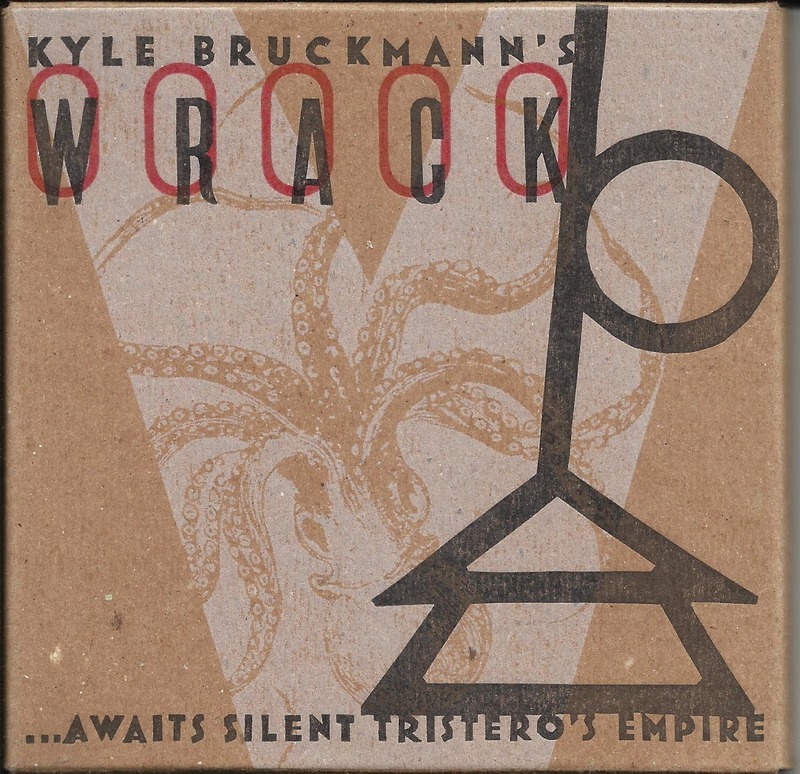 Bruckman plays oboe and English horn, two challenging double reed instruments rarely heard in jazz or improvisation. In the liner note he explains that Pynchon often has his characters burst into song, with show tunes, sea shanties, drinking songs and vaudeville providing the foundation for frequently racy lyrics that appear in the text. This explains why, two minutes into Part One, the rhythm section launches into a two-step of carnival music, with trumpeter Darren Johnston and trombonist Jeb Bishop sounding plucky over the bounce of the beat. Before this movement concludes, it includes a few passages of group squonks, some noisy oboe exchanges with plucked viola (from Jen Clare Paulson) and a few more trombone solos, most notably one where Bishop uses a plunger mute and the group plays a bluesy shout behind him. Bruckmann describes the music as a "cracked funhouse mirror Great American Songbook," and that does capture the essence of the whole piece. A great deal of ground is covered, in fits and starts. The third section starts out sounding more subdued than the aforementioned part, only to get faster, before Jason Stein unleashes a vocal bass clarinet solo. The final section begins with free blowing, including Bruckmann growling on the oboe, and later shifts into something that feels like soft shoe, with a chorus of "Red River Valley" inserted quickly. This mash-up of adventurous jazz and Americana holds a lot of intriguing moments, but as a whole it sometimes feels a little too ambitious. It doesn't have the John Zorn brevity-for-brevity's-sake penchant for gear shifting. But sometimes it feels like Bruckmann tries to incorporate a little too much into the music. Of course, I might be at a disadvantage, not having read any of the novels. The members of the group keep the energy on track when things get a little more involved. Although one can't really call it a "front line" since it's not straight jazz, the use of double reeds, bass clarinet, trumpet, trombone and viola creates a unique texture. Chicago regulars Anton Hatwich (bass) and Tim Daisy (drums) complete the lineup. Bruckmann was able to complete the piece through support from Chamber Music America's 2012 New Jazz Works: Commissioning and Ensemble Development Program. With any hope, this won't be a one-off project for him. On top of that, his oboe and English horn work also brings an underutilized pair of sounds to the world of adventurous jazz.